What is special about Tipton, Missouri? It holds the dubious distinction of possessing the world’s largest eight ball, for one thing. 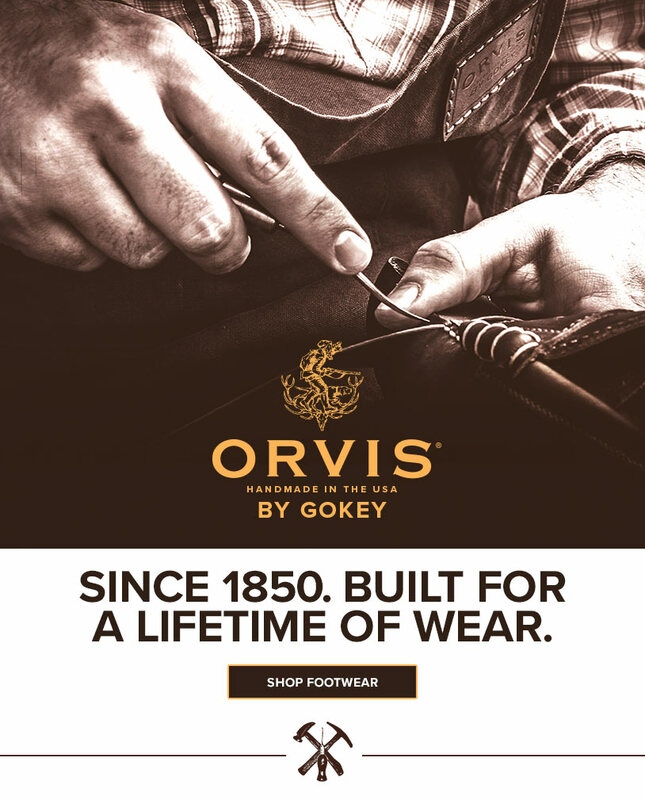 But, more remarkably in our opinion, Tipton is home to Orvis partner, Gokey. 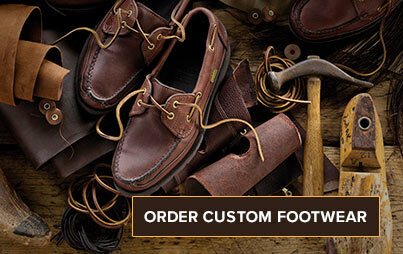 It’s where we make fine leather chukka boots, hiking shoes, hunting boots, and moccasins—by hand. We’ll even make them to order for the hard-to-fit foot. Find the perfect pair of upland hunting boots. Or slip into some comfy double-sole mocs. Quality shines in the shoes’ details: hand stitching, beautifully tanned Kodiak leather, or oiled nubuck, and Vibram or Goodyear lug soles—no workmanship is spared in the creation of a product that is made to perform again and again. You’ll even find snakeproof boots worn by presidents, a single pair of them tested with a hundred strikes—a test they passed with flying colors. Tasseled or laced, zip-back or pull-on, two eyelets, four eyelets, or more: Gokey leather boots and shoes are available in varied styles to accommodate your needs and tastes. 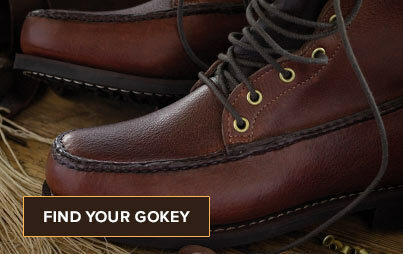 Gokey shoes and boots are a throwback to a time when things were made to last. “Someday the grandkids will fight over them,” said one customer. Orvis is pleased to present an enduring American-made product you’ll be proud pass on to the next generation.